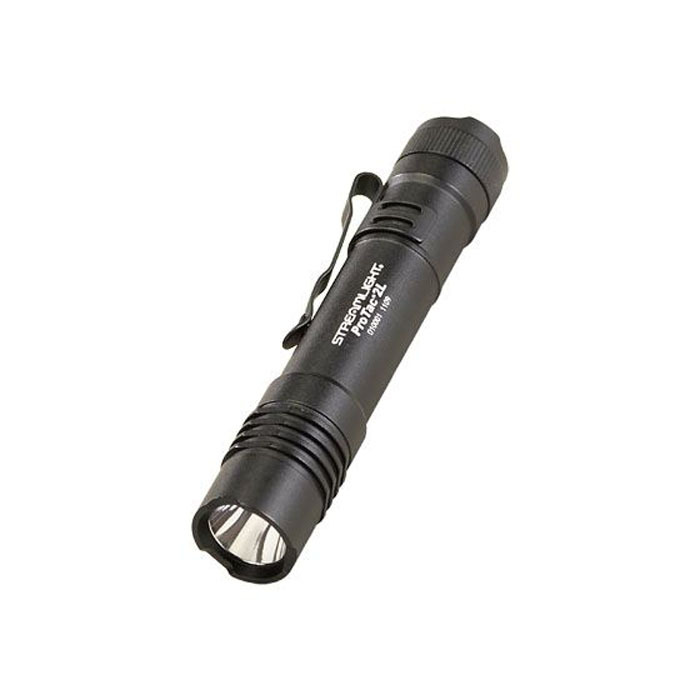 The Streamlight Protac 2L is both compact and durable. Designed to meet the needs of both law enforcement and other professionals, the Protac 2L is an ideal do-it-all flashlight. Features Ten-Tap® Programming – Choose from three user selectable programs: high/strobe/low, high only, low/high. High-(260 lumens - 3 hour run time), Low-(13 lumens - 50 hour run time), strobe-(6 hour run time). Includes two 3V CR123A lithium batteries and nylon holster. Rubber push-button tail cap. Durable, anodized aluminum construction with impact-resistant tempered glass lens. IPX7 waterproof to 1 meter for 30 minutes; 2 meter impact resistance tested.